I too was awestruck by this homily. I did some research on Fr. 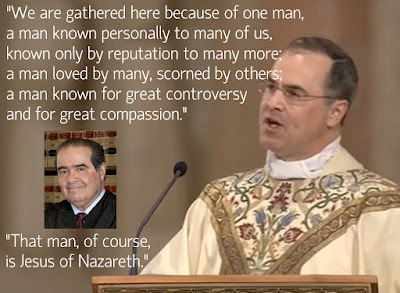 Scalia after watching this Mass, and learned that he often celebrates Mass in the Extraordinary Form, and has some really good writings posted on some other prominent Catholic websites. I think that this is a good example of how homilies should turn out at funerals. I can only think of one better homily I heard at a funeral, and that was from a young Polish priest at my wife's grandfather's Mass. And I only say it was better because he explicitly mentioned purgatory. Fr. Scalia got the point across pretty well on why we need to pray for the dead, and that we're not all perfect Christians, as Donald Trump would have you think. No, we're definitely in need of God's forgiveness. No one alive on this Earth is sinless. And Fr. 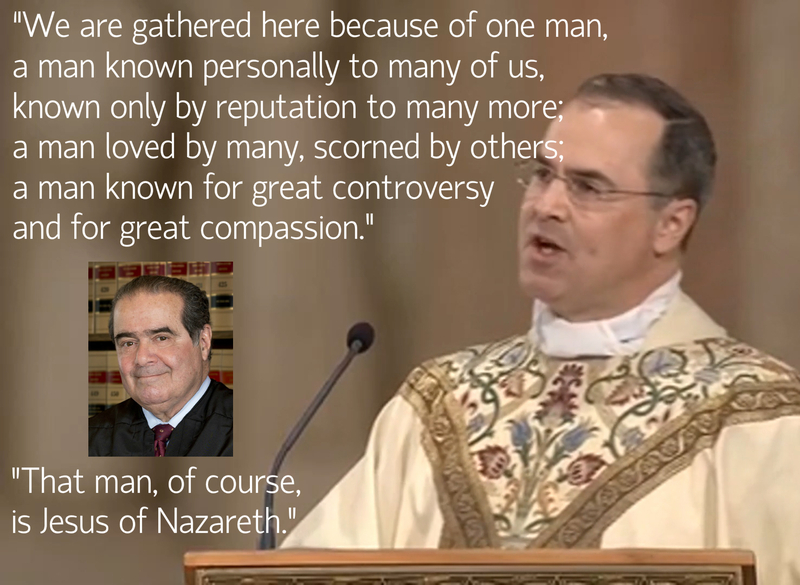 Scalia did a great job of reminding us of that, and turning our focus towards Christ instead of turning the liturgy into a canonization. I'd like to reiterate the thoughts of many people across the blogosphere: make this holy priest a bishop!